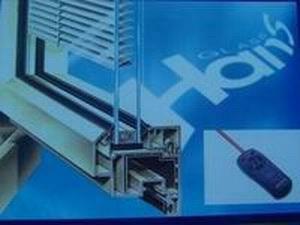 This system is equipped with the highly performance of inside open window, inward open and bottom-hang window, out-open window, outward open and top-hang window, inward open door, outside-open door, fixed window, assembled window etc..
55mm width for the window frame, belongs to the medium and small strip-pull on thermal insulated profile, the whole system looks decent and it is suitable for kinds of buildings. It can be assembled with different specification glass, the appearance not only could be square or round camber for the glass-beading but also the corners’. The European Standard Notch Design, according with the Europe Standard Hardware which can meet standard hardware accessory,3D hinge, common hinge and rub-hinge. Galuminum Group Ltd (GAL), established in 1993, is one of the leading Companies in China that specialized in manufacturing constructive aluminum profiles, Curtain Walls and fabricated windows and doors. GAL is a Guangzhou-based company owns three modern manufacturing bases. At present our annual output has reached 60,000metric tons. Through the cooperation with advanced international enterprises and professional national scientific organizations, the technical, managing level is improved in the past 20 years and advanced technology equipments introduced from abroad so as to guarantee the quality of our goods. 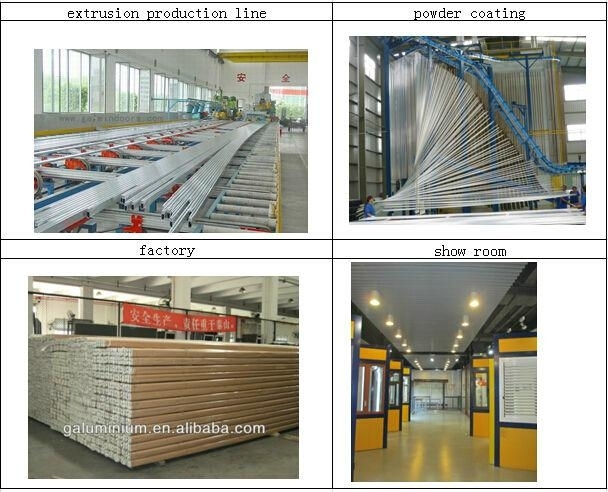 Now, our main products include extrusions for building industry and other industrial purposes with surface treatment of anodizing, electrophoresis coating, powder coating, PVDF coating ,wood-line transfer painting, thermal break and most popular aluminum-timber profile; More than 200 series of windows and doors as hinges, sliding, awning, bi-fold, pivot etc. opening in normal, thermal break and aluminium-wood systems. 1. The profiles. Galuminium group use of aluminum profile extrusion is 100% of new aluminum rods, 99.6% pure aluminum (the rest for silicon metal elements, copper, magnesium, etc), galuminium group is build a aluminum production base in qingzhen guizhou, lay the foundation for high-quality aluminum products. Some small factory using aluminium scrap extrusion, quality not guaranteed. 2. Perfect testing mechanism. From aluminum extrusion to doors and Windows assemble, every process has a quality inspector to do testing, make sufficient guarantee for the high quality product. 4. Glass : The U value of double temper glass is 1.1, can provide heat preservation and heat insulation, keep comfortable environment for cold and hot areas , energy saving rate was 50%.To enjoy high quality of life at the same time, also can save a lot of cost. 5.The top-1o brands, guaranteed. We are the top-10 brand company,sale professional solutions, technical team of window&door solve customer problems, custom exclusively personal doors and Windows system to the customers. after you confirm the order,you don't need to worry about the rest of the thing ,we will make it all for you.